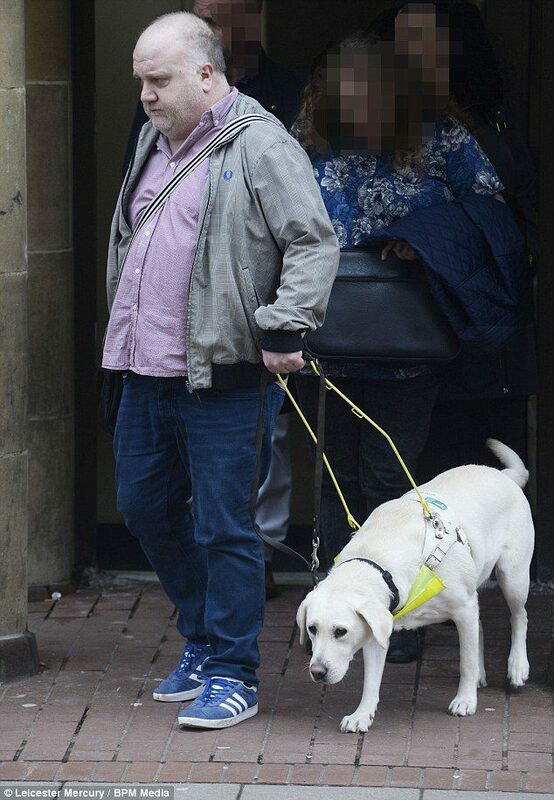 A taxi driver refused to take a guide dog in his vehicle because he claimed it had licked the vehicle’s gear stick. Zaman Khan refused to take Martyn Richardson and his guide dog, Janet in his Hyundai i40 estate last May. Mr. Richardson, of Thurnby, Leicestershire, called city company ADT asking them to take him, two friends and labrador Janet home after a night out at the White House, in Scraptoft. Mr. Richardson said he got into the taxi’s front passenger seat with his guide dog sitting in the footwell. He added: ‘I had phoned ADT and told them I had Janet and two friends and there would be three drop-off locations. ‘When I got in the taxi, the driver said he didn’t want the dog in his car and said he was scared of dogs. ‘He said “no dog, no dog!” I said “shall I get out?” and he said “yes” I might have said, “I’m scared of you as well”. ‘It was meant as a sarcastic comment. ‘I had only sat in the taxi for a matter of five or 10 seconds. 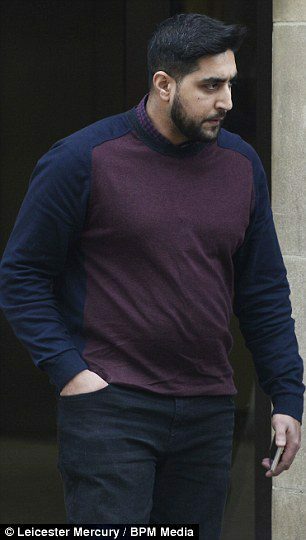 At Leicester Magistrates’ Court yesterday Khan, 29, of Brackenwaite, Rushey Mead, Leicester, pleaded not guilty to refusing to take Mr. Richardson and his guide dog, an offense under the Equalities Act. He was found guilty of the offense and ordered to pay a £400 fine and £400 towards prosecution costs. Khan will have to re-apply to Leicester City Council’s licensing committee before driving a taxi again. Mr. Richardson, 48, denied a claim made by Khan that Janet had licked the gear-stick and was worried she may have been able to apply the handbrake by triggering a sensitive button on the dashboard. He added: ‘There is no need for me to have control of her, she sits there as good as anything, she was sitting between my legs, facing me and never moved towards the gear-stick. In a call, Khan made to his head office after the incident, which was recorded by the taxi company, Khan confirms he didn’t take the guide dog. Khan told magistrates: ‘I have no problem with dogs. ‘I knew before I was going to the job there was a guide dog. ‘We have the option to refuse or accept jobs, I accepted it, it didn’t put me off. ‘The dog came in before him, its tongue was out, it was licking the side of the dashboard and gear-stick. ‘I was worried the dog might press the button on the handbrake, applying it while I was driving.